Create interest in your garden by encouraging climbing plants to weave through our full trellis fencing or use to landscape and divide sections of your garden. The 6ft fence panels are fully framed and hold a 15 year anti rot guarantee. The decorative fencing has been placed in a vacuum, where wood preservative is penetrated into the grain of the timber to protect against decay. So, despite the harsh weather outside, you can be sure our top quality products will last for many years. 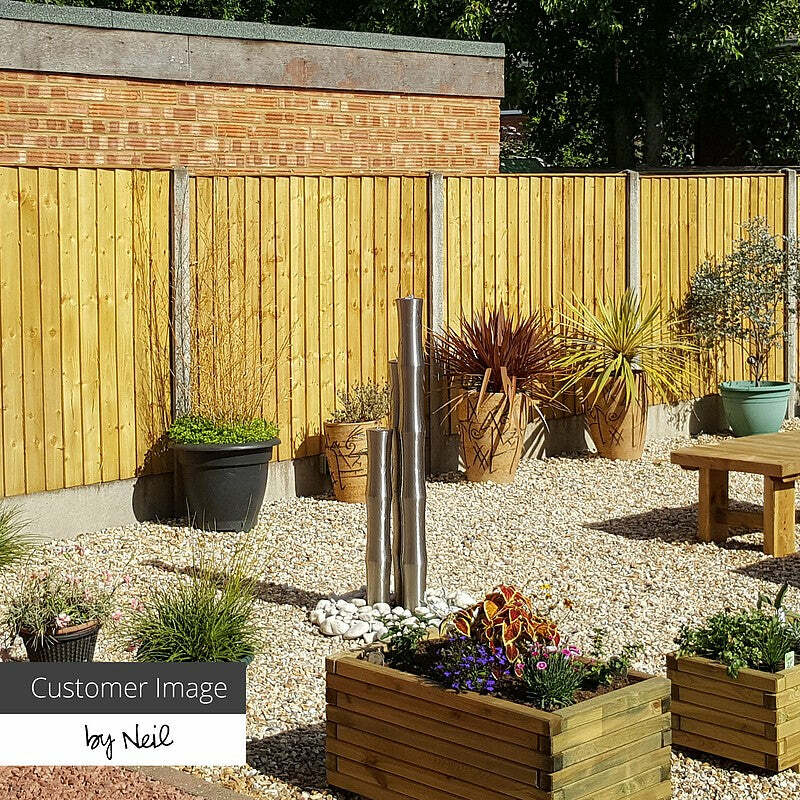 Our range of trellis fence panels are decorative and practical. Made from high quality pressure treated timber, they're easy to maintain! Pressure treated timber has an increased resistance to wood rot, and does not require an annual layer of timber treatment, saving you time and money in the future! Trellis panels are made from timbers in a lattice-style pattern. An attractive alternative to low picket fencing, they're perfect for creating a boundary around a vegetable patch or an entertaining area in your garden. Plants like honeysuckle and ivy love climbing up trellis fencing. Get your trellis panels delivered to you on a day you choose. Spend more than £100 and your delivery's free (to most inland UK postcodes).